The September issue of CQ takes us back in time, looks to the future and, as usual, contains a variety of projects and project ideas. 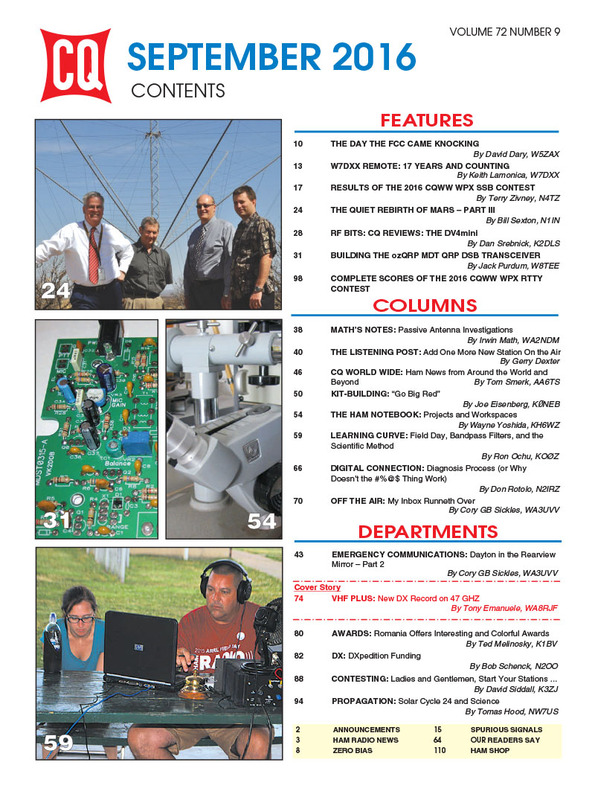 Our cover story – about a new distance record on the 47 GHz band – looks at where the future of radio is heading, and the wrap up of our 3-part series on the first 90 years of Army MARS, focuses on the organization's new role as part of the war on cyberterrorism. 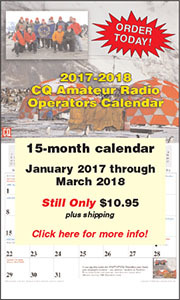 We start out, though, with stories by two 2016 inductees to the CQ Amateur Radio Hall of Fame. In "The Day the FCC Came Knocking," David Dary, W5ZKX, tells how his very brief and unintentional foray in to pirate broadcasting as a boy led to a lifetime in ham radio and a career in journalism, journalism education and as a renowned author of books on the American West. Next, Keith Lamonica, W7DXX, describes the origins of his pioneering internet-controllable remote station and where it's heading in the future. 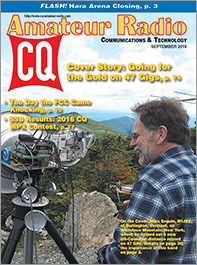 We've got the SSB results of the 2016 CQ WW WPX Contest, including complete scores; a review of the DV4mini digital voice module for the Raspberry Pi and a look at building the ozQRP MDT double-sideband transceiver kit. Among our columns, we look at passive antenna investigations, projects and workspaces, the process behind troubleshooting, funding for DXpeditions and much, much, more. 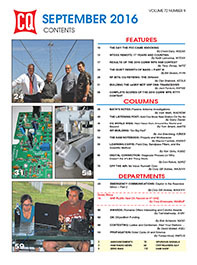 That's a brief look at what's coming up in the September issue of CQ magazine. For information on becoming a CQ subscriber - to either our print or digital edition - click here! Zero Bias – Who "Owns" What in Ham Radio? 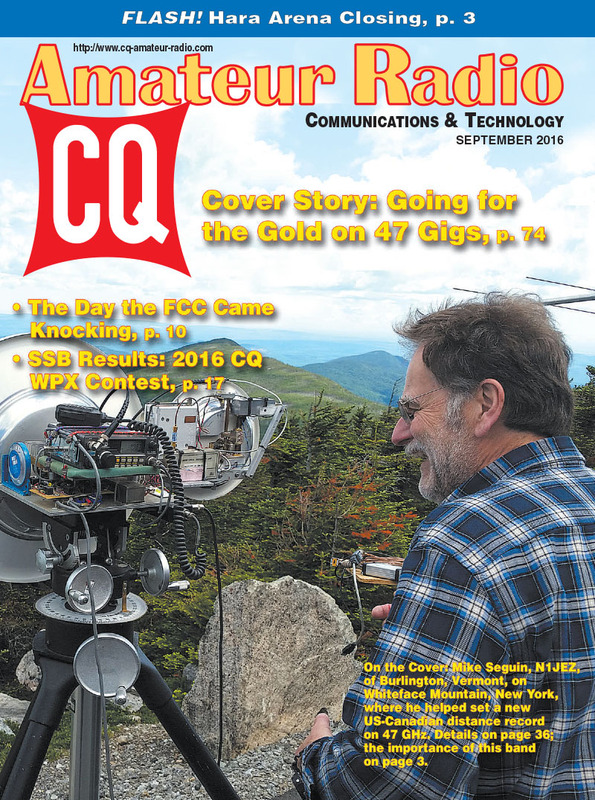 On the Cover: Mike Seguin, N1JEZ, of Burlington, Vermont, sets up his 47-GHz station on Whiteface Mountain, New York, to try for a new US-Canada distance record on the band.